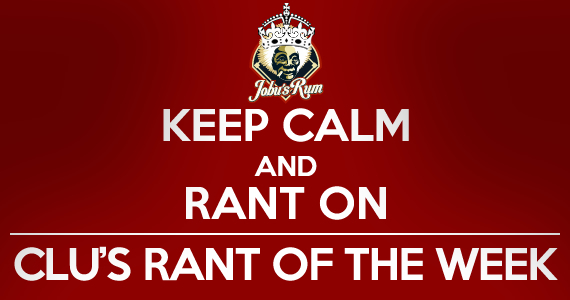 Rant of the Week: Does Montreal Deserve Another Baseball Team? Big League Clu rants about baseball… in Canada? So I took two months off because I couldnt really think of a topic to write about, and within one week I already have two! I am not, by any means, complaining about it. And believe me, you are all in for a treat today. While I was at work earlier this week, I was browsing the internet and came across a very peculiar article on Yahoo Sports. 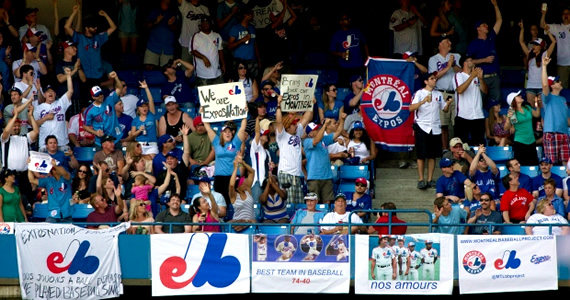 It seems that a group of Montreal Expos fans were in attendance at a Toronto Blue Jays game over the weekend. Ridiculousness ensued. The group, which calls itself “Expos Nation,” decided to take over about 1,000 of the left field seats at the Rogers Center (aka The Skydome) during Saturday’s Blue Jays-Rays game. 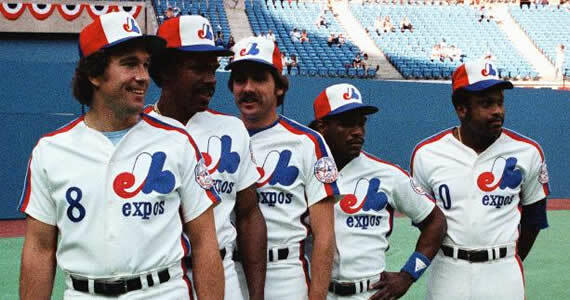 This group caused such an stir that players, MLB workers and fans alike noticed them and the message that they were trying to promote: Bring the Expos back to Montreal. Wait…really? Montreal wants a second Major League team?? Do they remember what they did to the last one? Sure, there were 1,000 strong in Toronto to support the Expos, but honestly, I don’t even think the Expos drew 1,000 people for a game their entire last season! Did they forget why MLB got rid of the first Montreal team after 2004? (I know what you’re thinking, wow it has been almost 10 years already?) Well, for those of you who do not remember why they were relocated to Washington, I will refresh your memory. Because of years and years of below average baseball teams (of course with the exception of the ’94 team which was actually in first place until the players strike cancelled the remainder of the season), Then owner Claude Brochu had no choice but to sell the team in 1999 to current Marlins’ owner Jeffery Loria (we all know how GREAT of an owner he is). Loria was unsucessful in getting any major TV deals with local English and French-Candian affiliates, which resulted in a lack of viewers and therfore many years of poor attendance too. Of course, again with the attendance. What is it !?! They had Olympic stadium for their taking. A stadium that could seat 60+ thousand should have been rockin, but instead, the Expos could barely muster between 6,000-8,000 a game in their final season. They even had to play 22 “home games” in Puerto Rico, just to get their attendance up! MLB decided enough was enough and bought the team from Loria. After the 2004 season, the Expos went to Washington. These people want to have another baseball team?! Ok, I am done ranting about the poor fans of Montreal who are without a baseball team. Honestly, it is nice to see that there are some people in the city that care about baseball and want to see another MLB team back in Canada. After all, Montreal became the first non-US professional baseball team when the organization began back in 1969. The challenges here would include Getting the city to finance a new ballpark and figuring out, realistically, how many people would ACTUALLY go to the games. I think 35,000 might be a good number. That’s very expensive. Here, MLB has two options. First, is finding a team to relocate. Who would be the sacrificial lamb? Tampa Bay? Oakland? Second, could they, instead further expand by adding two more teams? Simply stated, there are too many things that would still need to be determined before we see a second baseball team back in Canada. But for now, Expos Nation can hope and continue to passionately spread their message. 1994: The last year the Expos were any good.